Large faux concrete display logo for office desk or office shelf display. 250mm high and 50mm thick. All letters are custom made to order from styrofoam, coated in a thin layer of pigmented acrylic resin limestone. 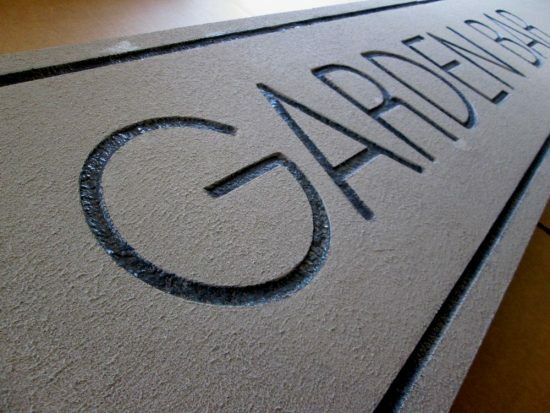 Faux concrete sign made from styrofoam, coated with a 2mm layer of grey limestone acrylic resin mix textured masonry finish. Made for short term outside use at a university campus. The sign measured 3300mm by 450mm by 50mm thick. 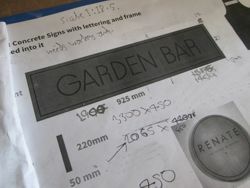 The faux concrete sign concept was initially created for use on interior wall logo displays, used by various building and construction companies as well as interior designers and hair salons. By using the correct glues and resin the signs become suitable for outside use. If we increase the amount of limestone resin coating on the styrofoam, the panels become even more durable and suitable for long term use outside. They would also make a good base panel for painting art panels or for sign writers who are looking for a masonry finish. We have been working on coating the panels in sandstone, yellow limestone and grey limestone. 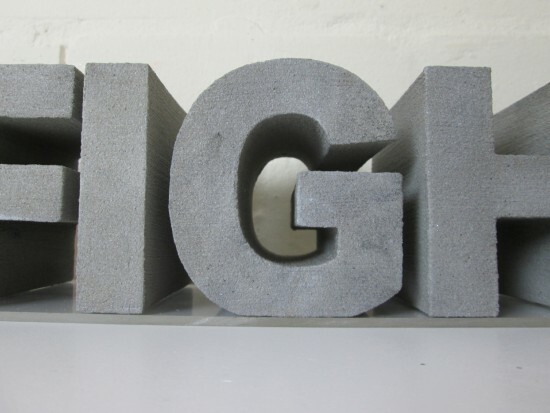 Using the stone resin coating method we have also been producing faux concrete letters for interior free standing office displays and for use for commercial photo shoots. 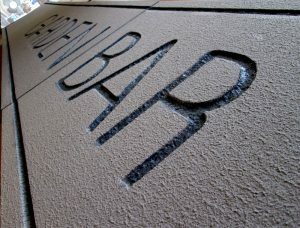 Concrete effect letters made from styrofoam, coated with a fine grain coloured sandstone and then painted to the final concrete colour finish. 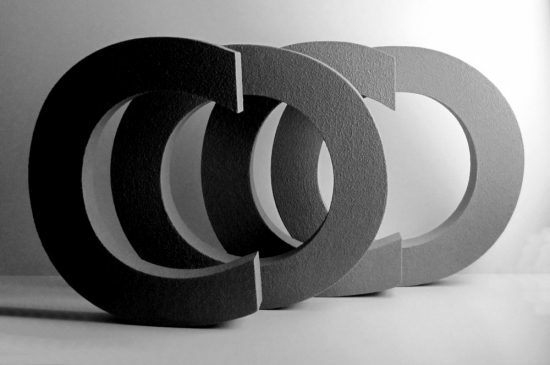 These letters are designed for display purposes for interior use in exhibitions and shop displays, fixed onto vertical surfaces or for standing on shelf’s. We have also supplied these letters for outside use on shop front signs because the paint and sandstone resin binders that we used are primarily designed for the construction industry.